Obituary for Doris (Fundingsland) Anderson | Hanson & Dahl Funeral Home, Inc.
Doris “Dorie” Anderson died Tuesday, April 17, 2018 at the Johnson Memorial Care Center in Dawson at the age of 84. Funeral services will be held on Monday, April 23, 2018 at 11:00 AM at Grace Lutheran Church in Dawson. Rev. Kendall Stelter will officiate and interment will be at Grace Lutheran Cemetery. Visitation will be held on Sunday from 5-7:00 PM at Hanson & Dahl Funeral Home in Dawson with a prayer service at 6:30 PM. There will also be visitation at the church for one hour before the service. 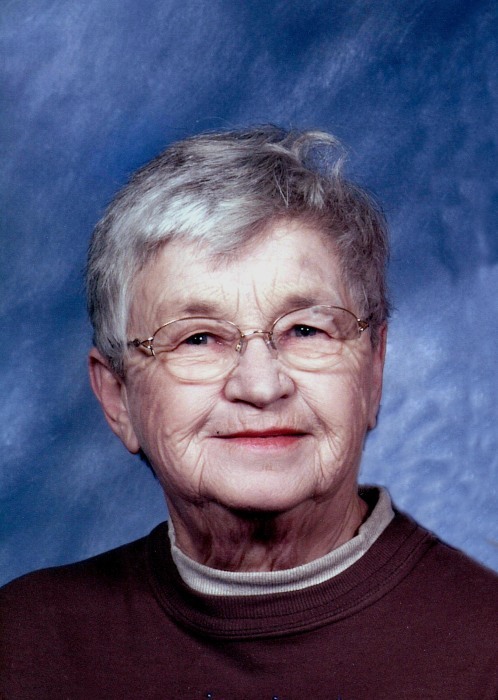 Doris Mae (Fundingsland) Anderson was born December 31, 1933 in Madison Township, Lac qui Parle County, MN the daughter of Norman and Meta (Wittnebel) Fundingsland. She was baptized at Borgund Lutheran Church and confirmed at First Lutheran in Madison. Doris graduated from Madison High School in 1953. She was united in marriage with Weldon Anderson November 6, 1954 in Madison and they made their home on the farm. She worked at Gamble’s and later at Dueber’s. Dorie enjoyed flowers and her dog. She loved watching the family showing horses and the rodeo. She grew up watching sports and especially enjoyed the MN sports teams. In later years she did a lot of crocheting, knitting, and tatting. She is survived by her husband, Weldon; a daughter, Karen (Dean) Spencer of Dawson; a grandson Cody (April) Saathoff; and numerous nieces and nephews. Preceding her in death were her parents; two brothers: Elmer and Walter Fundingsland; and a sister, Helen Beyer. In lieu of flowers, memorials are preferred to the HOPE Network or Grace Lutheran Church radio fund.